What does XO mean? 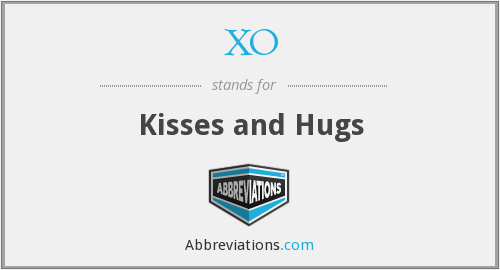 This page is about the various possible meanings of the acronym, abbreviation, shorthand or slang term: XO. XO is the fourth studio album by American singer-songwriter Elliott Smith, recorded from 1997 to 1998 and released on August 25, 1998 through DreamWorks Records; Smith's first solo album on a major record label. Two singles, "Waltz #2" and "Baby Britain", were released. Couldn't find the full form or full meaning of XO? Know what is XO? Got another good explanation for XO? Don't keep it to yourself! "XO." Abbreviations.com. STANDS4 LLC, 2019. Web. 18 Apr. 2019. <https://www.abbreviations.com/XO>.